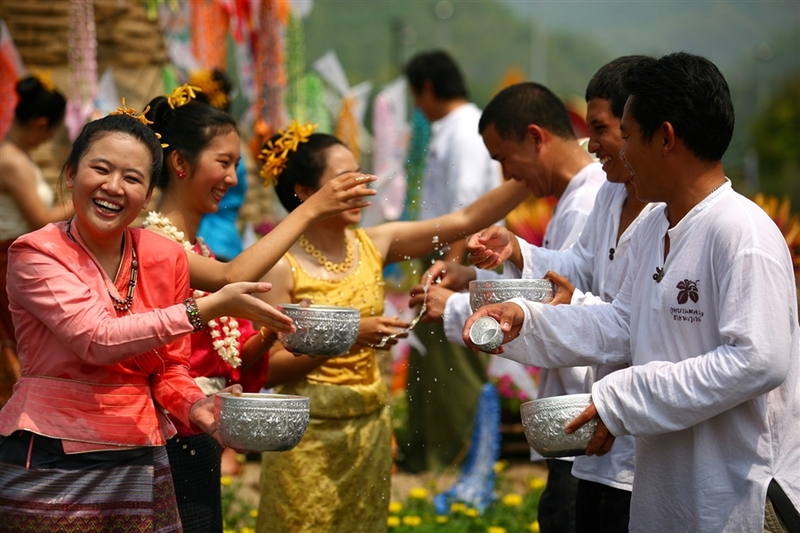 Held at the middle of April, Chol Chnam Thmay aims at celebrating the New Year with the expectation for luck. Moreover, not only meaning the beginning of water season to prepare for the upcoming crop, this festival also means the ending of drought season. In Cambodia, all families make colorful lanterns and then drop them on the lake on New Year’s Eve. It is believed that the family having bright lanterns all night long will receive more fortunes. Visiting Cambodia during the time of Chol Chnam Thmay Festival, you can see brilliant flowers and lights cover all temples and roads leading to the Royal as well as join a lantern festival full of colors created by thousands of sparking lanterns. The festival of rice harvest – the Bom Chaul Chnam is the biggest festival in Cambodia. Every year, it takes place from 13th to 15th April, in Tet holiday. During this time, with the belief in a bumper crop next year, people meet and splash water onto each other. In some countries with the agricultural civilization like Myanmar, Laos and Thailand, this festival is also held. Taking part in the water festival should be the most wonderful. For those who want to enjoy the uniqueness of one of the traditional festivals in Cambodia together with relax in cool water, it is such a good chance. 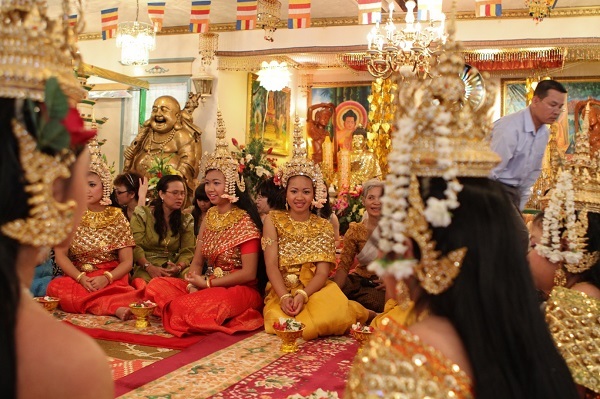 The Bon Om Touk festival is organized once a year, on the full moon day of Buddhist month. 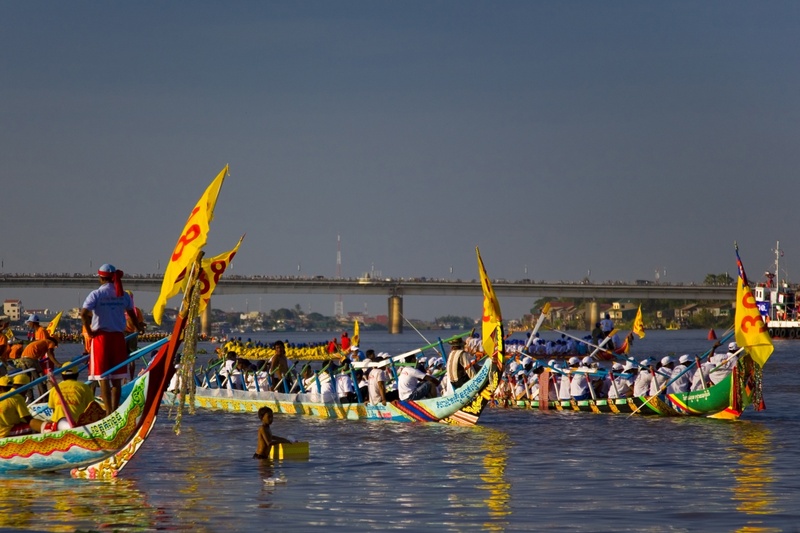 People hold this festival to memorize a natural phenomenon: the backflow between the Mekong River and Tonle Sap Lake. 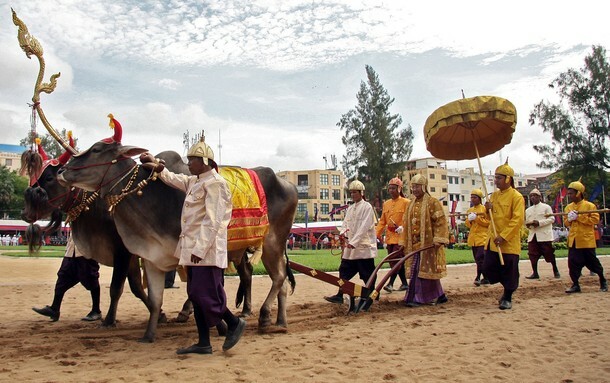 Held by the Royal in the early rainy season (normally May 6thevery year), the Preah Neanng Korl is one of the most stunning cultural festivals in Cambodia. No matter how advanced the science technology is, most Cambodian people still preserve and believe in the Preah Neanng Korl which takes place with the goal of weather forecast for a fertilized crop and effective plants. It is popular that monks say the prayer; bless citizens, the leaders of the country and Royal family at the beginning of the ceremony. And then, the king or queen will plow by driving a pair of ox. After plowing, they will release and lead oxen to 7 golden trays containing alcohol, water and seeds.